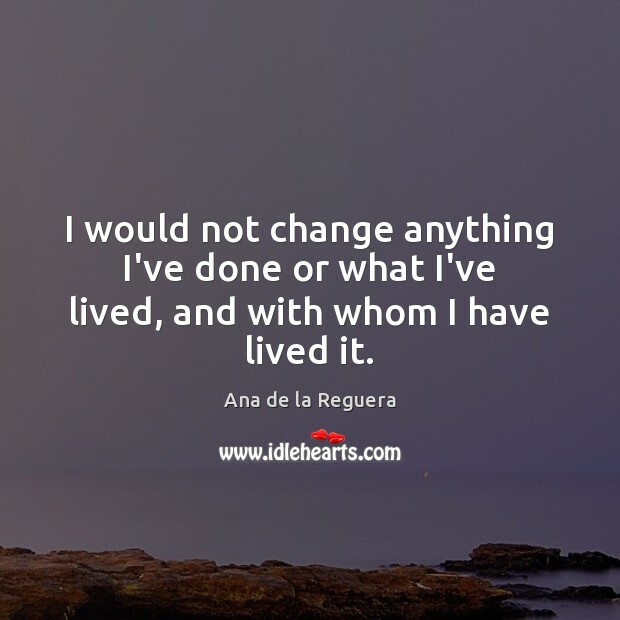 Enjoy the best inspirational, motivational, positive, funny and famous quotes by Ana de la Reguera. Use words and picture quotations to push forward and inspire you keep going in life! I would not change anything I've done or what I've lived, and with whom I have lived it. 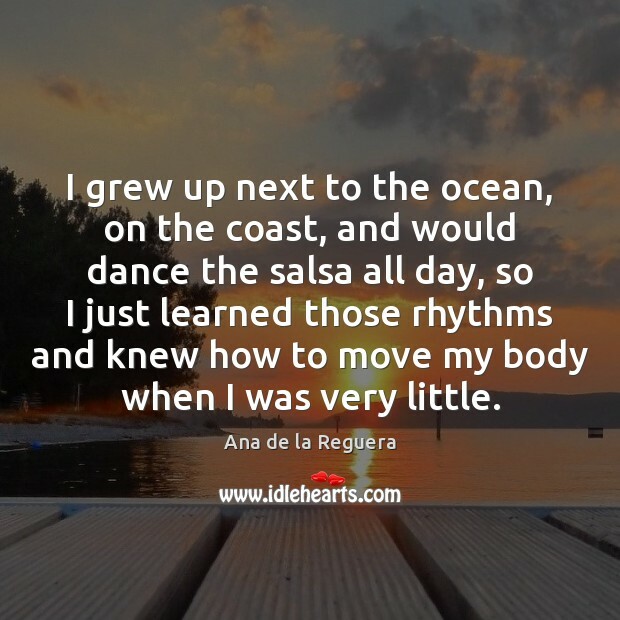 I grew up next to the ocean, on the coast, and would dance the salsa all day, so I just learned those rhythms and knew how to move my body when I was very little. I try to walk at least three times a week for 40 minutes or an hour. 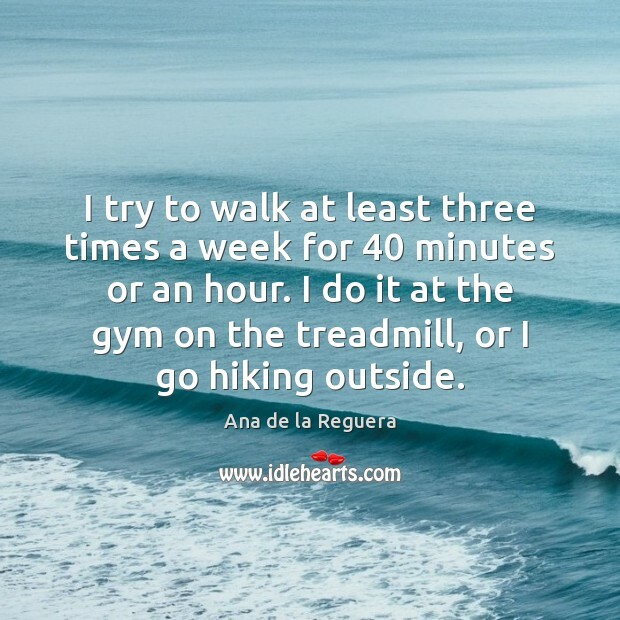 I do it at the gym on the treadmill, or I go hiking outside. I'm weird. 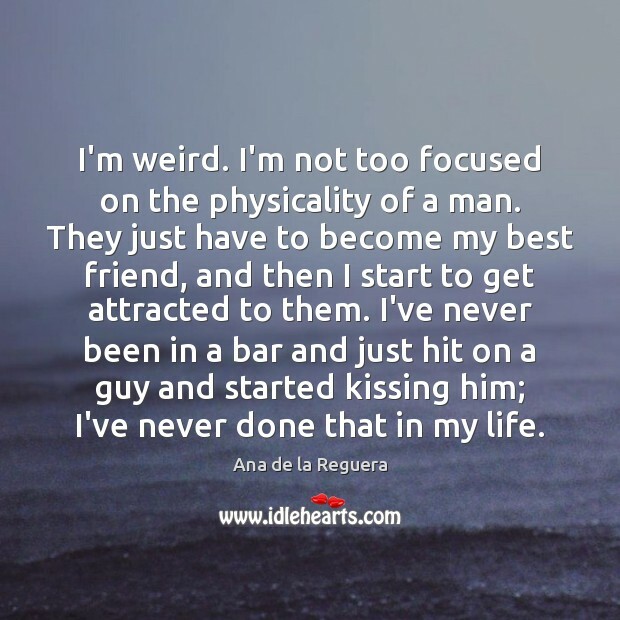 I'm not too focused on the physicality of a man. They just have to become my best friend, and then I start to get attracted to them. I've never been in a bar and just hit on a guy and started kissing him; I've never done that in my life. 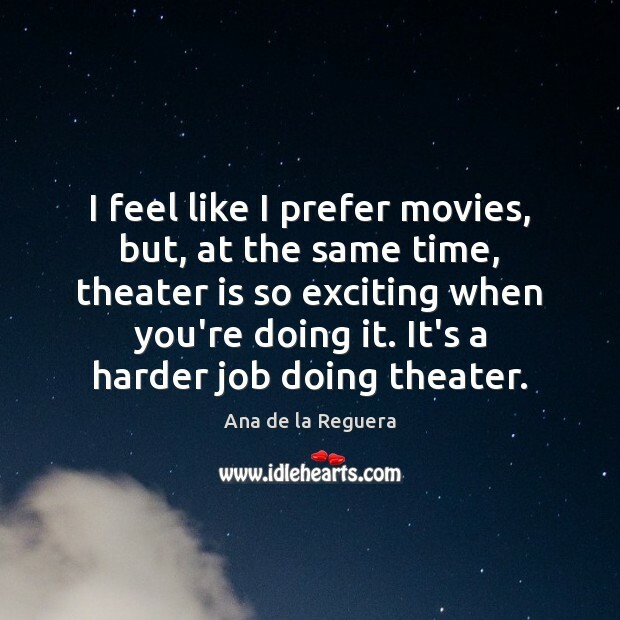 I feel like I prefer movies, but, at the same time, theater is so exciting when you're doing it. It's a harder job doing theater.